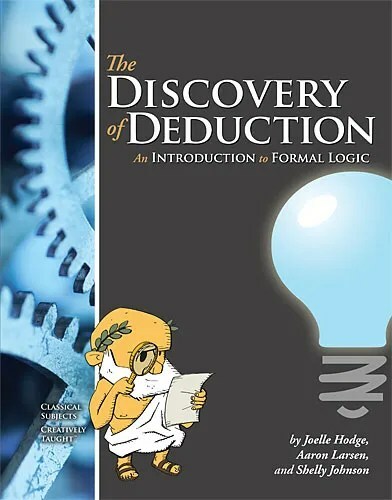 The study has 5 Units – Introduction to Formal Logic, Propositions and Their Relationships, Categorical Syllogisms and Terms and Definitions. 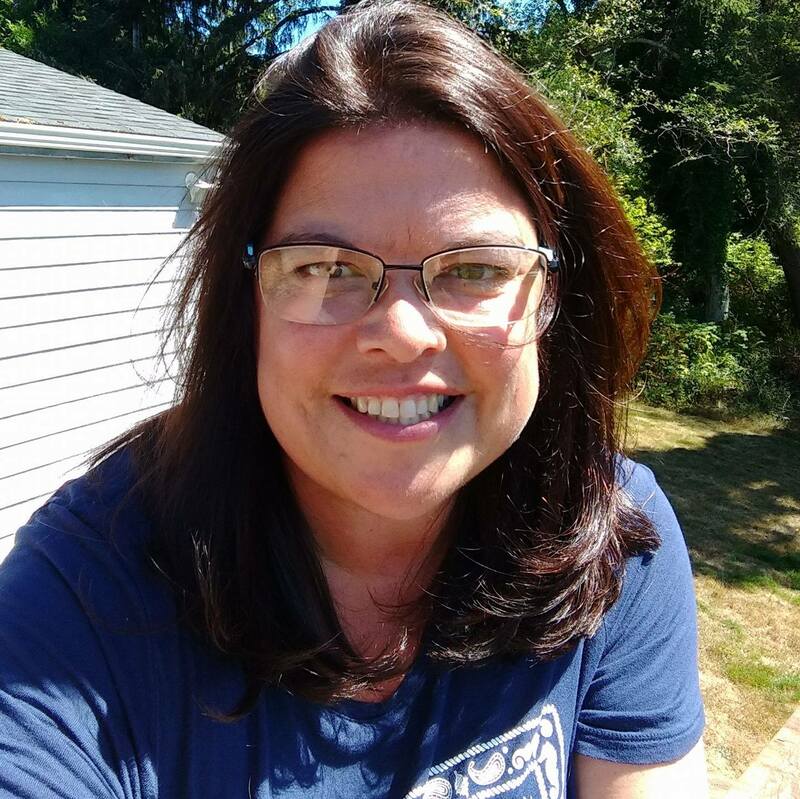 What does a lesson look like? Lessons start out with Points to Remember. This helps know what to focus on during the text. Vocabulary focus words are in bold and easy to reference later in the study. Quotes and a few graphics are scattered on the pages to lighten up the tone of the sheet. There are 2 pages of reading, with a page of questions. Chapter Lessons are split into 3-8 segments. Example 1.1, 1.2, 1.3, or 4.1 – 4.8. There are 9 chapters. For a better visual, the site offers a Free Sample Download with Table of Contents, First Chapter and a page of various resources to help you. We were blessed to be able to participate in a year long Fallacy group last year and also used The Art of Argument: An Introduction to the Informal Fallacies with a review last year. So when the Schoolhouse Review Crew asked if this product would work for us I said YES! 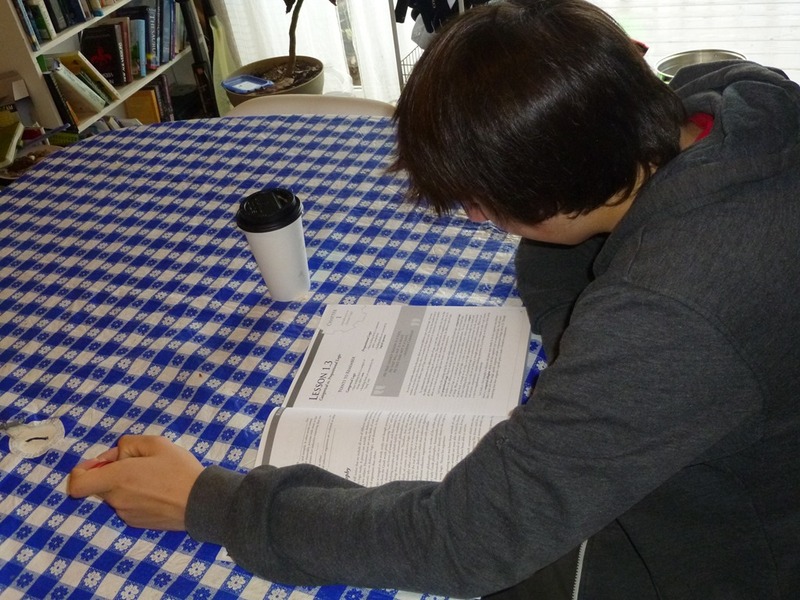 I think that Nathan stepped easily into this resource because of the last year of study. We are not looking to finish this book quickly, so we are taking out time working on the book one day per week. The Schedule is on the Website gives a layout to finish this course in one semester with a 90 Day / 18 Week Semester Long schedule. If you wanted to finish in one semester, you would need to work on it every day. This would be great if you need one focused credit, or if you’d like to work on this with a teen co-op. Nathan reads part of the lesson aloud, and part to himself. Even on days that he reads to himself, he pauses often to talk about the text. I try to stay in the room when he is on his lesson. I think it is important for young men to be able to reason truth. To see a statement or thought and be able to discern what to believe. I am glad that we also received the Teacher’s Edition. It has answers written out with the full student text. I like being able to see sample essays, dialogs and arguments as well. Yesterday we saw a few teaching tips that helped, along with links to YouTube ideas. They gave a disclaimer of age appropriate content and we enjoyed the extra resource. I fully believe that our young men should be equipped to speak clearly – and to listen clearly. 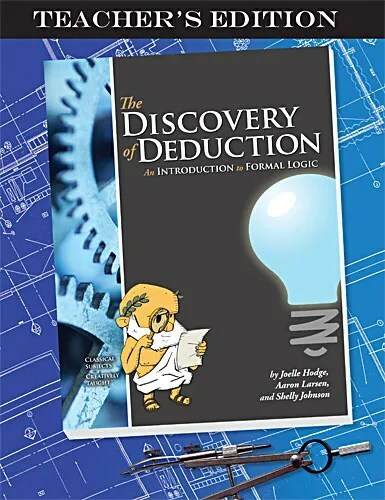 The Discovery of Deduction is a great tool to help guide your students into deductive formal logic and reasoning. 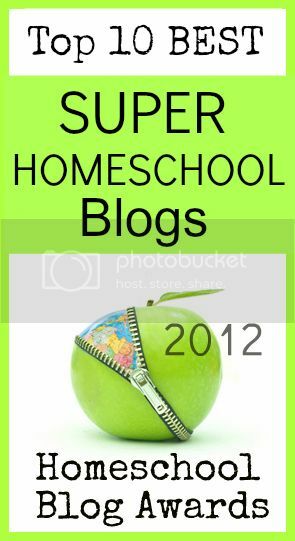 This entry was posted in Logic, Reviews, Schoolhouse Crew and tagged #Ad, Classical Academic Press, HomeSchool, hsbloggers, hsreviews, Logic. Bookmark the permalink. I love your comments about young men learning to reason truth. This might be a good fit for my son when he is a bit older.